Happy International Women's Day! (only 3 days late!) - Time for a nice cup of tea? Every Women's Day I want to remember to post this cartoon and I always forget. 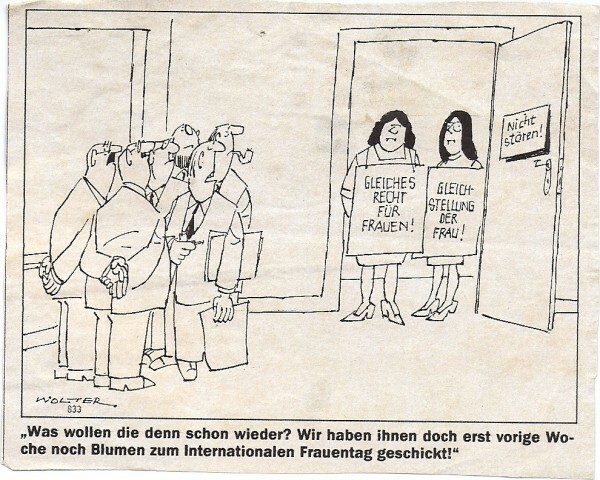 I cut this out of the Spiegel back when I was a student ie 20 years ago. Sadly, I still think the main message is relevant. 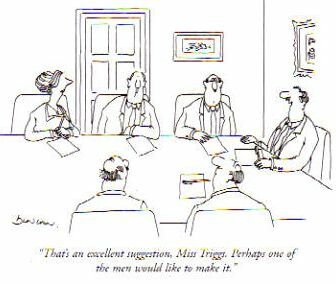 Oh, and on this theme, this is my alltime favourite cartoon about women, men, work, meetings!